Welcome to Burgundy Rose Motel. We invite you to stay in our friendly, clean, modern, affordable and comfortable motel with its fully equipped studios or family units. Burgundy Rose Motel lies just 1.8km from the town centre and just 200m from Kensington Stadium sports complex, ASB Stadium, local shopping centre, supermarket, tavern/bistro, medical centre, Kensington Hospital, restaurants and takeaways. 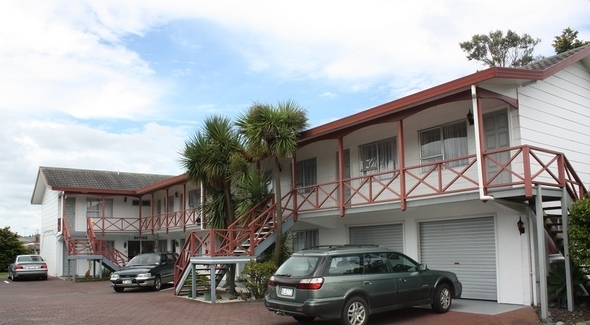 You will find that our motel accommodation is centrally located for experiencing the areas many tourist attractions. Free wifi, 50+channels Sky guest select, flat screen televisions, undercover BBQ area, spa pool, laundry facilities and plenty of off street parking. We are pet friendly motel. Extra charges applies. Please enquire directly to the motel for details.